From the publisher: The entire town of Cranberry Cove is popping with excitement. Monica Albertson is baking cranberry goodies by the dozen and shopkeepers are decking out their storefronts for the first annual Winter Walk—an event dreamed up by the mayor to bring visitors to the town during a normally dead time of year. Tortie Shorties Review: Monica finds herself embroiled in another mystery when the mayor is found dead in a horse-drawn sleigh during the opening ceremony of the first annual Winter Walk. Both her visiting mother and new-found friend/stepmother are prime suspects because they were unknowingly dating the man at the same time, but the murder weapon came from the local "witch's" shop. Then a critical piece of evidence is found at Sassamanash Farm, plunging her family even more into dangerous territory. I picked up on clues that led to the killer half-way through the book, but the motive was unclear to me until Monica was able to uncover it. I loved meeting Monica's mother Nancy and enjoyed their interactions together and with stepmom Gina. The descriptions of the meals prepared in Monica's little cottage had my mouth watering, plus every important discussion at the dining room table included the requisite cup of tea. And sweet kitten Mittens is the purr-fect addition to Monica's little world. This book just oozes cozy from start to finish. I savored every moment and only wish Sassamanash Farm was a real place that I could visit! From the publisher: With her new business venture - a service to recover missing pets called Pet Recovery Center up and running, Penny Clark is ready to investigate when she learns Winston, a prized poodle, has been dognapped. Nevermind that the body of Kevin Throop was also discovered at the family apple orchard. She has a job to do! Things would be a lot easier if Penny didn't have to play referee to her divorced grandparents, but she had agreed to take her grandfather in when he'd been forced to leave the rustic cabin he'd been living in. She would just have to make the best of it. Going against the strict orders of Sheriff Nathan Bradley, who was once her high school sweetheart, and with her partner, Holly, at the helm of the Pet Recovery Center bus (and her divorced grandparents along for the ride) Penny's Pet Recovery Center tackles their first case -- to find the missing poodle -- but what she uncovers is murder...and a whole lot more. 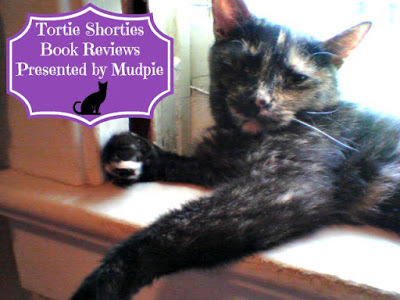 Tortie Shorties Review: While I love the concept of this mystery series I was left slightly disappointed by it. There seemed to be too much going on with a large cast of characters for such a short book. Since I'm typically drawn to the elderly characters in my cozies, I was excited to see Penny's grandparents playing such a large role in the story, but through the first half of the book their bickering got to be a bit much. Still, I'm eager to see if they're reconciling so I'll pick up the next book in the series with hopes that I enjoy it more. Enjoyed your review! I love reading books here animals are involved! I enjoyed the reviews! I like cozy mysteries featuring pets. Mudpie, my reading list just keeps growing and growing with all your reviews! I need to catch up! And both of these titles are so cute. 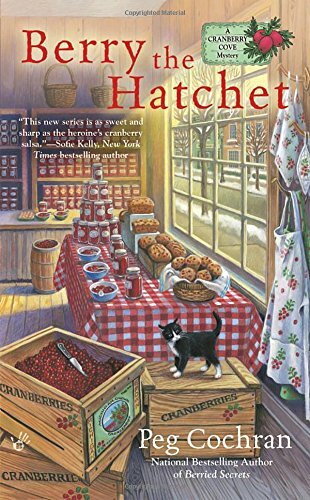 I will probably add Berry the Hatchet to my list but may skip "Poodle" based off your reviews. Nice reviews. Berry the hatchet sounds like a good one. More great reviews! And I appreciate that you give honest reviews, Melissa, even about books that you didn't enjoy as much as you hoped you would. Thank you for sharing, Melissa, as always! Purrs to you and Mudpie! Great reviews. Very helpful when deciding what books to read. Thanks for the reviews, Melissa! It can be overwhelming when authors try to fit too much information into a book. 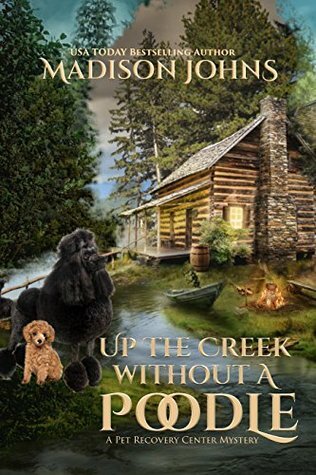 I love the cover of Up the Creek Without a Poodle, but for some reason the blurb doesn't really appeal to me. Berry the Hatchet sounds like a lot of fun, though. Two more books to add to my reading list, for sure. MOUSES!